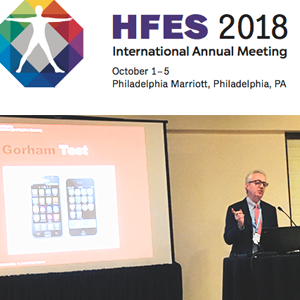 Charles L. Mauro CHFP Delivers Keynote Speech at HFES International Annual Meeting 2018 in Philadelphia. Charles L. Mauro CHFP was the invited keynote speaker at the recent Human Factors and Ergonomics Society (HFES) International Annual Meeting held in Philadelphia, PA on October 2nd, 2018. The speech titled: “Human factors engineering innovations in the age of Apple v. Samsung: How HF/E practice can add major value to the intellectual property assets of corporations and academic institutions” was well-received by the audience made up of HFE professionals from both academia and industry. The keynote talk focused on a detailed analysis of the far-reaching impact of the recent Supreme Court decision and its impact on device design IP theory and practice. The talk explored the use of neuroscience-based testing methods to determine infringement and to provide rigorous research-based support for IP litigation. 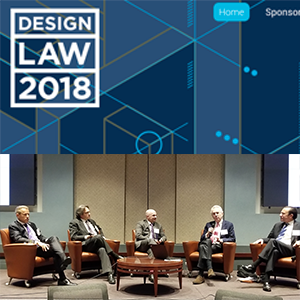 Charles L. Mauro CHFP Invited to Speak on Prestigious Panel at Design Law 2018 Conference in Washington, DC. It is no secret that design patent law is in a major period of upset and reformation. The dramatic changes are the direct result of the recent Supreme Court decision in several intellectual property cases, including Apple v. Samsung. The prestigious panel, including Christopher J. Renk of Banner & Witcoff Ltd., John Froemming of Jones Day and Nika F. Aldrich of Schwabe, Williamson & Wyatt, was focused on the complex issues of damage calculations once infringement has been found by the jury. Mr. Mauro covered theory and practice applied to testing the impact of visual design on consumer decision making and related research.